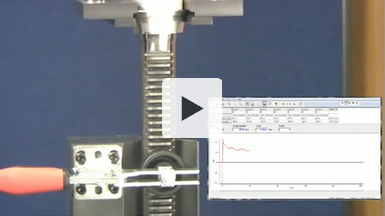 The MultiTest-i range of computer-controlled force measurement system are the ideal solution for tensile and compression testing in Quality Control and R&D laboratories. Controlled by Emperor software, the MultiTest-i is available in a range of single and twin-column models covering the range from 500 N to 50 kN. 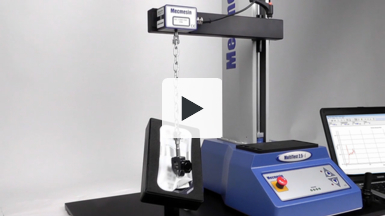 This video is an overview of Mecmesin's tensile testers: MultiTest-i and MultiTest-xt. The top-of-the range MultiTest-i PC-controlled force measurement systems are an ideal solution for tensile testing in QC and R&D laboratories, while the MultiTest-xt tensile testers controlled by a built-in touch-screen console, requiring only minimal operator training are ideally suited to making routine quality control measurements in production areas. 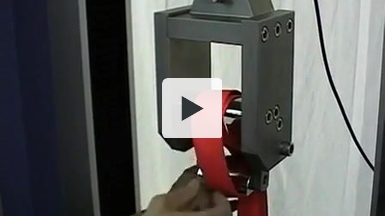 This video shows how testing safety-belts to find their breaking point can be performed using Mecmesin's MultiTest 50-i force testing system. 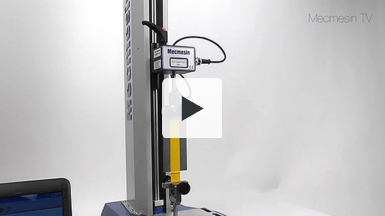 The MultiTest 50-i, is particularly suited to high force testing and can also produce compressive loads. It is capable of producing a tension of 50,000 Newtons while recording up to 1000 measurements per second. 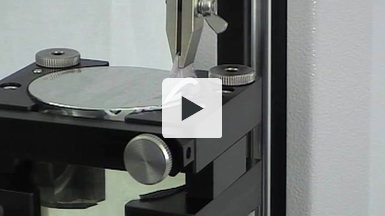 Tensile testing of surgical glove material is conducted on a MultiTest-i PC-controlled force tester, measuring the maximum tensile strength and elongation at break. Emperor software controls the test stand, captures the force measurement and plots force and displacement in real time. This video shows a car steering rack being tested to see how much force is needed to operate it over its full working range of movement. The average force recorded shows how smooth the rack is when moved from one end of travel to the other. 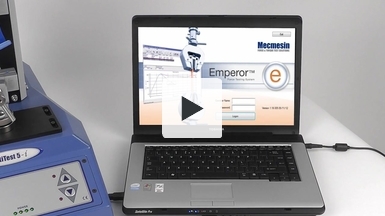 The test is conducted on a Mecmesin 25-i PC-controlled twin column test system, driven by Emperor force testing software. The software records the peak and average force as the steering rack is moved backwards and forwards. 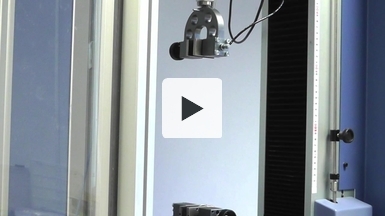 This video shows a quality control test on a solenoid. The resistance force when a solenoid is energised is a critical quality parameter. 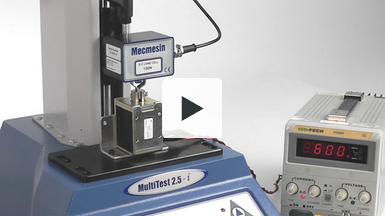 The computer-controlled MultiTest-i range is ideal for programming the test sequence and displaying the load versus displacement characteristics of the solenoid.